The Tale of Chirpy Cricket now on sale on Audible! 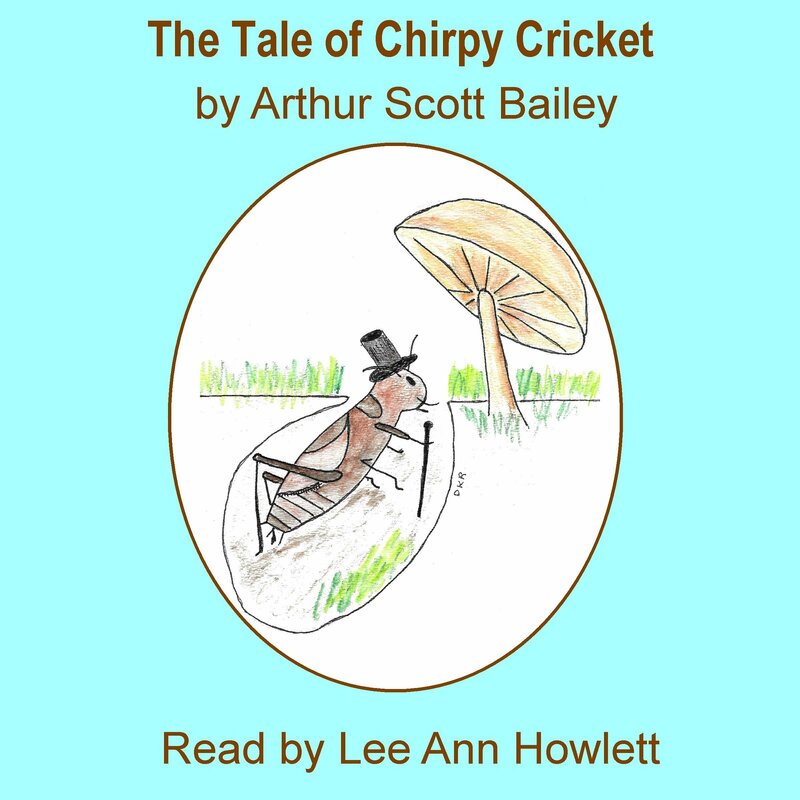 Lee Ann is pleased to announce the publication of her latest audiobook, The Tale of Chirpy Cricket by Arthur Scott Bailey. Chirpy Cricket sleeps in his little hole in Farmer Green’s farmyard all day but when night falls, he comes out of his hole and makes his music with other members of the cricket family. Chirpy calls the noise he makes with his legs “fiddling” and he loves to fiddle. When he isn’t fiddling, he gathers grass to take back to his hole to eat. Chirpy also likes to visit other creatures on the farm such as Tommy Tree Cricket, Freddie Firefly, Mr. Cricket Frog and others. Arthur Scott Bailey wrote a number of children’s books. This book is part of his Tuck-Me-In Tales series. Bailey managed to slip facts about the various creatures into his books without sounding “preachy” and incorporated science into his wonderful stories while still giving his characters distinct personalities. This is a chapter book for children aged 5-7. It will be in the Whispersync program soon which means that the audiobook will be heavily discounted when you purchase the new Kindle version of this book. Lee Ann used the services of Florida artist Duane K. Reigel to provide over 30 watercolor illustrations for this updated edition on Kindle. The audio + Kindle version is a a great way to employ immersion reading for beginners and children struggling with reading. You may listen to a sample of the audio and/or purchase the book here. The updated Kindle version may be purchased here. Posted by lahowlett on February 13, 2015 in Uncategorized.